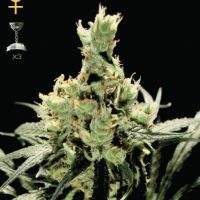 CBD Crew CBD Critical Mass female seeds produce a Medium sized cannabis plant with a High CBD content, Photoperiod genetics and a flowering time of 8 Weeks. 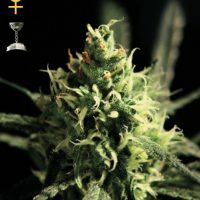 CBD Critical Mass female has a genetic makeup of Critical Mass and has a taste described by the breeder as ‘A rich honey sweetness with deep and strong complex aromas.’. Buy CBD Crew CBD Critical Mass female seeds at the lowest price online now! The CBD enriched Critical Mass is, as its origins would imply, a large yielding strain. It grows like a sativa but with heavy, dense indica-like flowers. Its buds can get so heavy during flowering that there is a good need to support them to avoid snapping. CBD Critical Mass has a rich honey sweetness with deep and strong complex aromas.